Obstetrics and Gynecology: Placenta Previa and Abnormally Invasive Placenta, Fetal in Utero Treatment, and stem cell clinical therapy. He is a obstetrician. He completed his MD from The Second Military Medical University in 1993. 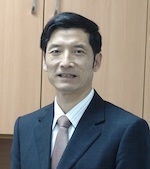 Currently, He is a professor and director of the department of obstetrics, Southern Medical University Affiliated Maternal & Child Health Hospital of Foshan, and the deputy director of the Foshan Institute of Fetal Medicine. His research interests include placenta previa and abnormally invasive placenta and fetal in utero treatment, and regenerative medicine and stem cell clinical therapy. More than 30 articles reflect his research in reputed journals and has been serving as an editorial board member of repute. He is the pioneer of fetal surgery therapy in utero in China. So far, He already performed dozens of clinical participants with stem cells during the past year.